Pumps for chemical manufacturing and pharmaceutical processing from Reliable Equipment Sales operate year after year under high pressures in hazardous environments with virtually zero maintenance. Wilden AODD, FDA-model, air operated pumps, Yamada FDA-compliant, air operated pumps, and metering pumps, magnetically driven pumps from Finish Thompson and drum pumps from Finish Thompson, Sethco and Flux Pumps are proven to deliver high performance, safety and reliability with low maintenance in a wide range of chemical and sanitary pharmaceutical processing applications. For guidance on how to size a pump, how to select the right pump or how to specify the right pump, call 203-740-1877 or click to chat. 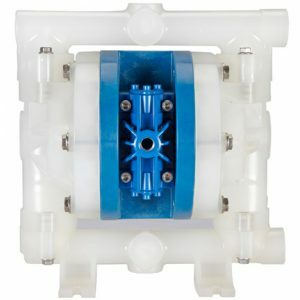 FT05P air-operated double diaphragm, 1/2-inch plastic pumps from Finish Thompson in polypropylene deliver superior resistance to strong acids and alkili. Ideal in temperatures above freezing. 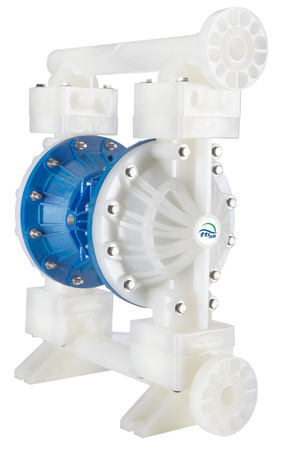 FTI Air pumps represent Finish Thompson's latest air-operated, double-diaphragm pumps. The half-inch, FT05V in PVDF comes in a wide choice of diaphragms with a polypropylene center section, and polypropylene air valve and valve seats for acids, oils, plating, water treatment and more. The one-inch, FT10P in polypropylene comes in a wide choice of diaphragms with a polypropylene center section, and polypropylene air valve and valve seats for acids, oils, coatings, plating and more. The latest in air pump technology from Finish Thompson. 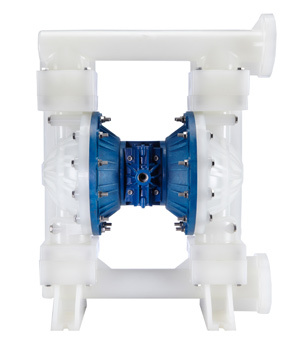 FTI Air pumps represent Finish Thompson's latest air-operated, double-diaphragm pumps. The one-inch, FT10V in PVDF comes in a wide choice of diaphragms with a polypropylene center section, and polypropylene air valve and valve seats for acids, oils, coatings, plating and more. The one and a half-inch, FT15P in polypropylene comes in a wide choice of diaphragms with a polypropylene center section, and polypropylene air valve and valve seats for acids, oils, coatings, plating and more. The latest in air pump technology from Finish Thompson. 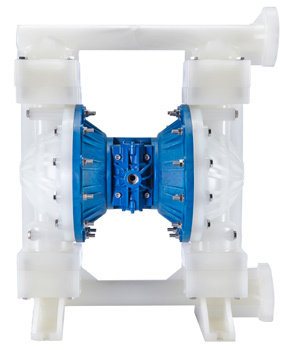 FTI Air pumps represent Finish Thompson's latest air-operated, double-diaphragm pumps. The one-inch, FT15V in PVDF comes in a wide choice of diaphragms with a polypropylene center section, and polypropylene air valve and valve seats for acids, oils, coatings, plating and more. 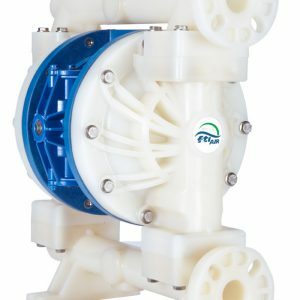 The two-inch, FT20P in polypropylene comes in a wide choice of diaphragms with a polypropylene center section, and polypropylene air valve and valve seats for acids, oils, coatings, plating and more. The latest in air pump technology from Finish Thompson. 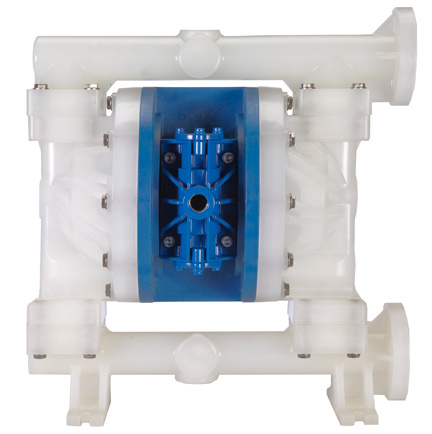 FTI Air pumps represent Finish Thompson's latest air-operated, double-diaphragm pumps. The one-inch, FT20V in PVDF comes in a wide choice of diaphragms with a polypropylene center section, and polypropylene air valve and valve seats for acids, oils, coatings, plating and more. 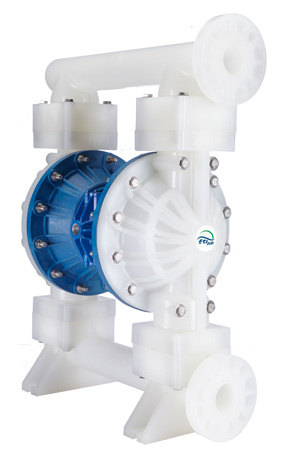 Latest line of rugged, mag-drive centrifugal pumps by FTI developed specifically for heavy-duty and extreme chemical processes. 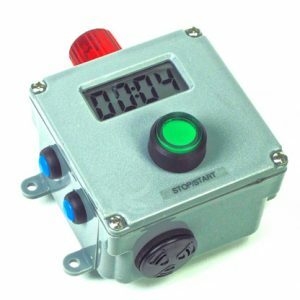 T4 digital process control timer counter counts down then sounds an alarm. Large numerical display in compact 4" x 4" x 2" NEMA 4x, waterproof enclosure plus extra long-lasting, lithium battery included. 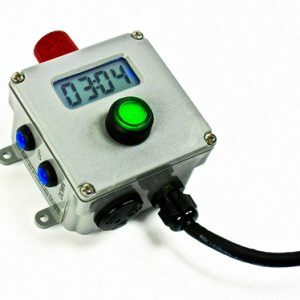 T5 AC-powered, digital process control timer counter counts down then sounds an alarm. Large, backlit numerical display in compact 4" x 4" x 2.75" NEMA 4x, waterproof enclosure plus relay controls other devices up to 10A, 1/2 HP @ 120V, N.O. or N.C. and auxilliary 9VDC output can power dataloggers, autodialers or other external devices. 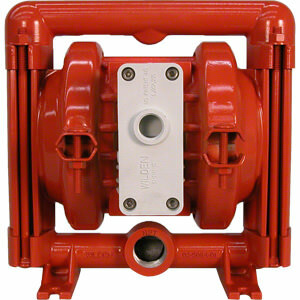 Finish Thompson KC Series horizontal magnetic drive pumps feature a plastic design to handle highly corrosive liquids. 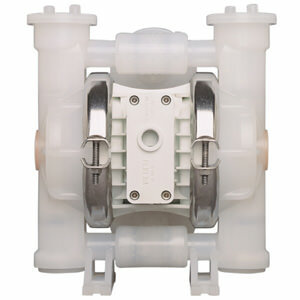 A dependable performer since 1990, the pump end includes the motor adapter and drive magnet. The standard motors come in 56C NEMA face for the KC6 and above (FTI pumps under the 6 have special motors) & 184TC face for the KC22 & 32. The below pump specs are listed for 3450 RPM, 60HZ motors. If you need different motor option specs, please call or chat! Please note: Below Finish Thompson pumps do NOT include motors since these are offered as an option to the pump end. Flux Pumps F Series sealless tubesets feature versatile, lightweight drum pumps and container pumps that handle a wide range of liquids. 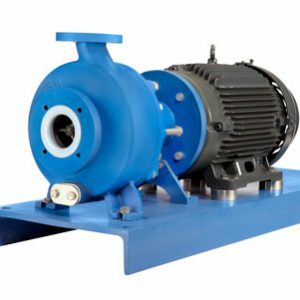 Offered in a wide range of specifications, pumps are ideal for transferring abrasive liquids. Click on the model number or to find out the model needed, use the selector menu to choose from polypropylene, PVDF or stainless steel, the max flow and head, and discharge tube length. Or call for free guidance! 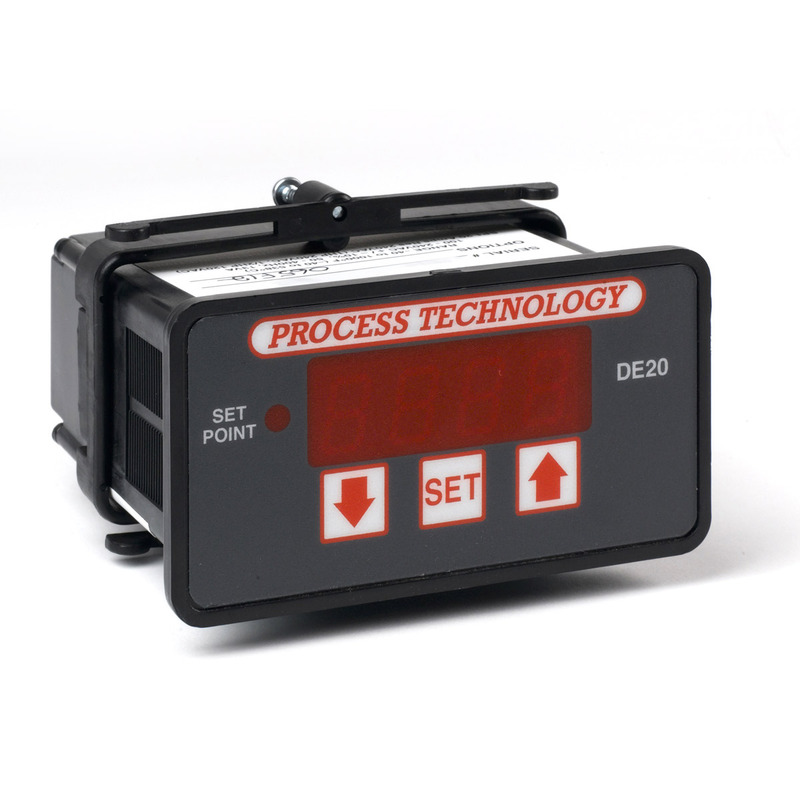 Process Technology DE20 Series digital thermostats improve process control in temperatures ranging from zero - 500 degrees F. Comes with LED display, Fluoropolymer (FEP) covered, 10-foot (3m), 1000-ohm, platinum RTD sensor in corrosion-resistant enclosure. Click on the model number or to find out the model needed, use the selector menu. Or call or chat for free guidance!